British born Glynn launched his career fresh out of high school - as an intern at the world famous Ealing Studios in London. Glynn's talent was identified early on by an American producer who initially hired Glynn to assist with his HBO show - TALES FROM THE CRYPT. Over the next 13 years - Glynn worked both in the UK and USA assisting on many renowned movies such as, HOUSE ON HAUNTED HILL, CONSTANTINE and STARSKY & HUTCH. Moving into the creative realm and becoming a writer, Glynn optioned his first script, 'Releasing Frank', in 2010. The same year Glynn created development hell pictures with Frida Farrell and together they have written, directed and produced 5 films under the 'dhp' mantle. 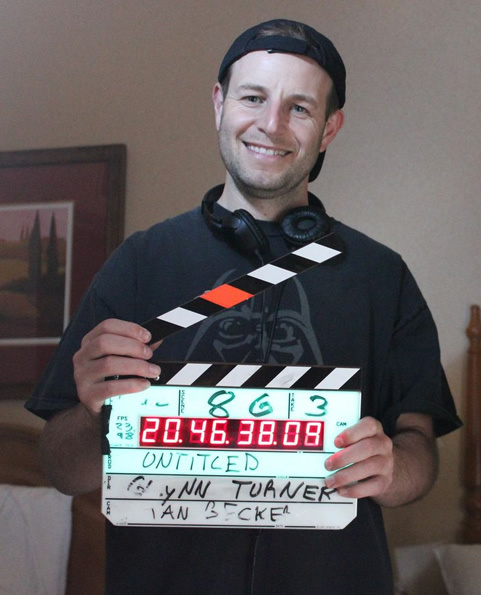 Glynn has recently won an award both for his latest screen play and for BEST DIRECTOR. He is set to produce his first feature film in June 2013. Frida studied acting at London's Central School of Speech and Drama. After graduating and completing 6 feature films in the UK, Frida took the big step and moved to Hollywood where she quickly secured representation with ICM. A whirlwind few years passed - which included a further 9 feature films - a pilot for Raleigh Studios - a guest star on Bones on FOX - getting nominated for BEST ACTRESS twice - and winning BREAKOUT FEMALE STAR for her performance in Contract Killers. In 2010 along with Glynn Turner - Frida formed development hell pictures. Within 2 years dhp have produced 5 short films - resulting in 21 nominations and 9 wins - at various film festivals. In 2013 Frida will produce and star in dhp's first full length feature.